How To Drive Screaming Traffic To Your Blog Using Pinterest! By now most everyone knows about Pinterest but in case you don’t, or have come late to the party, you’re about to find out how you can drive massive amounts of traffic to your blog using Pinterest! As defined by the company’s website: It’s a “Virtual Pinboard that allows you to organize and share all the beautiful things you find on the web”. The company has been around since March of 2010 and for the longest time, they operated as an invitation only platform; but it wasn’t until mid 2011 that it really took off! As of January of 2012, the site had 11.7 million unique users and averages 11 million visits per week! Currently Pinterest holds a Google Page Rank of 7. Those are some pretty impressive stats for a company less than 3 years old. Depending on which browser you are using, the site will display the relevant video. It’s super simple and the image below is for Safari’s browser. This is the secret ingredient to using Pinterest! Each time you add a pin using the “bookmarklet”, it links back to the site it came from… Read that again because what I am going to explain next is golden! This is how you can drive screaming traffic to your blog using Pinterest! Earlier I mentioned Pinterest has a Google page rank of 7. This is huge for SEO because the more authority websites linking back to your site, the more “Google Love” your article and site will receive. This technique works extremely well but keep in mind, it’s more dependent on the image you chose than any other factor. People repin interesting, beautiful, funny, or controversial images all day long, so be sure and look for an image that really stands out! Now, this probably goes without saying but I will say it anyway. Be sure an use a royalty free website where you can purchase a web ready file for a nominal fee to keep yourself from getting into any copyright issues. Royalty free isn’t always “free” due to the restrictions enforced. Normally if you download an image with no watermark and want free usage, you’ll be required to give credit and link back to the site and artist. Most sites will sell images at 640 x 480 pixels for around 5 bucks. Free Digital Photos.net is just once source, there are many to chose from. Once you have decided on an image, created and published your blog post we are ready for the next step. Open a new tab in your web browser and visit the new post on your site. Hit the “Pin it” bookmarklet you created earlier and you will see a page displaying all the images on your site, click the image you want to pin, in this case, the “Woman Screaming” image. You have just created a link back to your blog! The whole idea and ultimate goal behind this strategy is for other Pinterest users to see your image and repin it, thus creating even more traffic back to your site. If your image is strong enough, and with any luck, this will go viral, leading to hundreds or thousands of unique visits to your site. I would also announce your recent “Pin” using the Facebook and Twitter links on your board to drive even more traffic to your site. One word of caution prior to using this strategy. Make the time to create your Pinterest account and have several boards created with other images you have pinned first! Be sure to actively repin other users images as well. You don’t want to come off looking like a newbie spammer with only one or two boards, mostly of your own work… It looks a bit self-serving! Another tip on what NOT to do, don’t use a URL that goes directly to a “buy” page. Its against the rules and Pinterest can shut down your account. In closing, with all the changes Google has made the last few months regarding their algorithms and how they are ranking sites these days, ( see my recent post about the social vote: http://workwithrichardp.com/what-is-social-networking-coming-to-its-all-about-the-social-vote/ )This strategy is very powerful and effective method for your SEO. Something else to consider, if you’re trying to get more traffic to an affiliate or capture page, this strategy is very effective. You can do all the above and link it directly to your capture page. If it’s a sales page with a buy button, then create an article about your product, within the article have your link to the sales page and those interested will find what your selling that way. If you found some useful tips here on how to drive traffic to your blog using Pinterest, then here is my “Call to Action” – Please do one or all of the following: Share this article with your friends on Google+, Facebook, Twitter and Repin it! 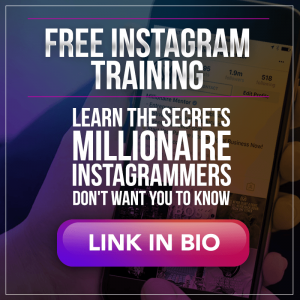 If You’ve Been Struggling to Build Your Network Marketing Business and Want More Leads and to Sell More Product, Now You Can Learn How To Leverage The Power of Instagram! Click The Image Below! Let us know by leaving a comment below on the techniques you have you been using to drive traffic to your blog using Pinterest! I love how creative you are with Pinterest! Personally I don’t spend as much time on Pinterest as I should. One can really get sucked into board surfing for hours if not careful. I appreciate you sharing your thoughts and ideas. I will look for you on Pinterest, it sounds like you have some interesting boards to follow! Pinterest has become a mega social site. Many people have started to create boards for their niche and they are forming little tribes to share each other pins. From what I hear, it’s very much like commenting on other blogs. Very powerful for getting more eyes on your pins. Thanks for the great tips you share here Richard. Very valuable information for people like me who are interested in using Pinterest but don’t quite know the dos and don’ts of Pinterest. Thanks so much for your comment, the G+ share, and the connection on Twitter as well. It’s great to meet you. From what I’ve been reading and hearing, Pinterest is still a good source for a backlink but it’s no longer a DoFollow site, so that PR7 I mentioned isn’t going to happen. I need to modify this article. I do believe there is still a benefit in using this strategy though. Pinterest and it’s followers are starting to provide some extra traffic here, something I’m grateful for. I will take a look at your site, I like the idea of the top 10 pins and hopefully we can brainstorm on that together. Richard – Thanks for the follow back. This is a very helpful article and i started pinning as you have mentioned above, by giving out the URL and some hashtags with the pin. Let me see if that brings back good PR to my site and also hopefully some new followers. Once i read this article of yours, i had another idea to start off a round-up of the top 10 pins on pinterest, and i just published the same on my other website – http://www.dailymorningcoffee.com. Do take a look and suggest if anything can be improved. Thanks so much for stopping by! Personally I don’t spend enough time using Pinterest, but love the site. Twitter has been my best source of generating leads and meeting new people. I’m guilty of not using LinkedIn and FB to their full potential. That’s a goal I have been working towards. Thanks for your comment, I hope to see you back here soon! This is my first time on your blog. I just wanted to let you know I found your article to be very informative. I’ve using Pinterest for some time now but really haven’t been able to check out all of the features and strategies used in this forum. I really enjoy Pinterest honestly at times more than the other social sites. Although, I do love Twitter, Facebook, Linkedin and several others that I frequent. I’m going to try your technique above to promote my blog. It’s a new blog and I’m still learning but I love to write. Thank you so much for sharing and I will come back to visit your site. Nice overview, Richard. However, Pinterest no longer allows “dofollow” links and “nofollow” links mean you don’t really get much SEO benefit, if any, from these links to your site and/or pages. Do I have that correct? Pinterest can be quite addicting… With all the changes Google has made the last several months, this is an excellent way to get that high PR 7 Backlink. I appreciate the comment, thanks Steven! Great article. A lot of people are becoming hooked on Pinterest once they start using it. It’s both a lot of fun and a great way for business to market itself more effectively. You’ve got it! And having a PR7 backlink is always a good thing. If your image can go somewhat viral via Pinterest, then each time it’s shared, you gain a new backlink. Thanks for your comment! That recipe sounds great, I’ll have to give it try! It’s nice to get confirmation about Pinterest! Awesome post, Richard. This whole Pinterest thing is so new and foreign to me. Your post clarified it and answered some of the questions I’ve had about Pinterest. From your post, I guess the benefit you get from using Pinterest is the fact that it provides backlinks to your website and hence more traffic. Thanks for sharing. Make it a wonderful day! I agree, making it part of your daily routine is important, even if it’s 5 minutes a day. Build up those boards and put this strategy to use. I wasted a lot of time too before jumping in… Best thing I could have done. Thanks for the kick start to Pinterest. Honestly, I’ve been avoiding it for awhile. These are some great tips to get started. I was just struggling with changing my featured video YouTube, can’t wait to read your article! Yeah, it’s a great way to get a backlink from a PR7 site. I’m looking forward to using this strategy often. Richard Petrillo recently posted..11 Tips – How To Drive Traffic To Your Blog! I will take you up on that.. I for one at times have not made sure to give credit where credit is due. For the longest time I thought the URL would automatically show up. Very cool strategy. I’d heard that Pinterest was a good “new” traffic strategy, but I didn’t realize how it worked….until now Thanks for the great info here..
Great Post Richard, I think the basics for how to post and use Pinterest are a good lead in for your post, as it is such a new social site, many have not taken the time to get familiar with Pinterest. You may even do a follow up, of how to edit or change a link that leads back to your site, however giving credit to the original pin’r is also important. Many images I find are great, however have no link once you click, simply because the pin’r doesn’t take the time to check the URL or does not realize that an image can lead to an important online relevant resource. Cheers! Biztag – Your World Mobile! I am recently starting to implement this strategy and love the thought of backlinking to a PR 7 site. 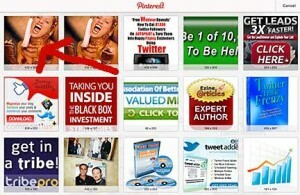 I was just on Alexa last night looking at Pinterest and wondering how I might use that site in my lead generation. Excellent tips here, Richard! thanks for making this so clear and easy to follow. I’m just getting started on Pinterest so this will really help me make it valuable. Next post: Are You Still Shooting Blanks In Your Network Marketing Business? Previous post: 5 Biggest Obstacles to Overcome in Your Internet Marketing Business!